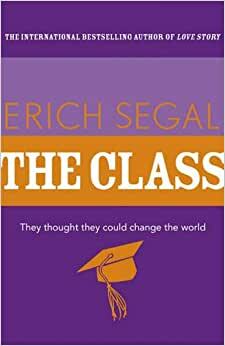 Start reading The Class on your Kindle in under a minute. Segal, of course, was a gifted author. I've read several of his books and rank them against each other. Perhaps that's unfair since he's far better than most other contemporary authors. Nevertheless, compared to some of his other books, I would cite these flaws: He uses many obscure "highbrow" words unnecessarily. Since the entire story deals with Harvard and it's graduates, he may have felt that readers would enjoy language that fits the tone of that institution. He develops thoroughly likable characters, then creates a scenario for each that effectively ruins their lives. At the end, he offers a philosophical ending where an uplifting conclusion would serve the reader better. The book is absolutely worth reading, however, especially for people interested in Harvard, and the lives of her graduates. This book is my all time favorite. I read it the first time in high school I think. I was drawn to its subject matter of Harvard, but then, I grew to love the characters. They are passionate, talented, successful, and yet true happiness eludes most of them. A great fiction with historical connections to the second half of the 20th century, the book calls me back to be reread every several years. This is pretty typical (somewhat trite) Segal fare. Good for a weekend at the beach or as a way to pass the time on a flight. 5.0 out of 5 starsGreat fictional read woven through historical events of the sixties and seventies. Another Segal accomplishment. Well thought-out characters that endure the trials of of the sixties and seventies including anti Semitism and the Vietnam War. You will applaud their accomplishments and feel their heartache. I read the book. That was enough waste of my time.